I work in a court clerk’s office embedded in the midwest region of Brazil. Out of the arid soil of improbable fertility, so typical of this part of the country, trees sprout with deep roots, twisted branches, and thick bark. Amidst the mimosa, rose pepper, rosewood, and sucupira trees, government offices have emerged just as implausibly, sprouting twisted representations of the state, with its dry and arthritic branches. Among them have grown the courts and the clerk’s offices that provide support for them. Inside one of these bureaucratic structures, court hearings are held every Wednesday, enduring the dry climate of the scrublands. That is where I exercise my role as an employee of the court clerk’s office. Among my assignments in this public agency are the tasks of arranging the space where deponents will be heard and recording their testimony. The architecture of the hearing room is designed to receive those who come to assert a claim. The doorway through which all the litigants and witnesses enter, escorted by the lawyers, opens into a long, spacious room. The ceiling soars more than six meters above the floor. Dividing this great space is a long, wide table made of thick wood. I am in charge of arranging the chairs where the plaintiffs and their lawyers will sit on one side of this imposing piece of furniture; on the other side, I line up the chairs for the defendants and defense attorneys. During these ritualistic moments of solitude preceding the hearing, while I set up the empty room and move around the massive rosewood table that separates accusers from the accused, I recall how the benches in the House of Commons in the British Parliament are arranged, dating back to the days when they had to be positioned at a distance of two sword’s-lengths so that members could not physically attack each other. The architecture of the hearing room should ensure only the clash of ideas among the people who come within it. I like to imagine that the furniture-maker who crafted this table, whoever he may have been, had in mind the metaphor of the Anglo-Saxon political tradition as he worked. At one end of this long piece of furniture sits another table, equally imposing but somewhat shorter, sculpted from the same species of wood. It is arranged at a ninety-degree angle so the tables form a “T” of pure rosewood. The judge and the public prosecutor sit at the head of this perpendicular table, representing the presence of the state mediating the legal dispute. To the right of their table, hidden behind a computer screen, seated on a chair that is intentionally lower than the others, is where I work, typing up everything that the parties, lawyers, witnesses, judge, and prosecutor say during the hearing. Thus, every Wednesday, the opposing lawyers take their places on this preordained stage and attempt to extract from the deponents the truths that best fit their case. The dispute is mediated by the state at the head of the table, while the physical separation of the parties is guaranteed by the unmovable weight of the hardwood slab between their bodies. The architecture of the hearing room is thus set up for disputes; it is a coliseum of jural bloodletting. It is my job to write up the transcript of these interminable battles that flood the court clerk’s offices. At times, however, another kind of petitioner seeks a hearing, one who does not fit into the same mold of the furniture and figures in the room. Such hearings do not lend themselves to disputes or distance between the parties. These are hearings on naturalization. The procedure for naturalizing a foreigner in Brazil is conducted by the executive branch, specifically, the Ministry of Justice. It is the responsibility of this arm of the state to investigate whether or not an individual who wants to become naturalized fulfills the requirements for becoming a Brazilian citizen. The judicial branch of government plays no part in this process of investigation. After all the background checks have been completed and the offices of the executive branch have granted naturalization, it is left to the justice system to deliver the certificate to the petitioner under oath. This solemn act occurs in the same hearing room where, under entirely different circumstances, some dispute between legal parties takes place every week. In naturalization hearings, there is no plaintiff or defendant, nor are there attorneys clad in their legal armor; there is simply a man or a woman, often accompanied by family members, who has come to receive the certificate upon which their weighty choice is printed–the choice of a country. For these occasions, I do not arrange the space in the same way as for a legal dispute; I am not preparing it as a pathway to a battleground. Rather, I set up the furniture for the moment when certain rights will sprout, the rights that a man or a woman come anxiously hoping to see prevail: rights that are deeply rooted in the dry, improbable soil of the Brazilian state, rights that emerge twisted, dehydrated, punished by the relentless heat, but which, like a mimosa sapling, rise up from the arid soil of the scrublands. On these occasions, after putting the chairs in their proper places, I can witness a foreigner be transformed into a Brazilian. Three years have passed since I began preparing for these ceremonies, but I never get tired of seeing the transmutation. The long rosewood table, where the foreigner signs the certificate of naturalization, is no longer the means for separating opponents in the Anglo-Saxon tradition; it becomes instead the first object to provide support for the person wishing to rise up as a Brazilian. The metaphor of an unarmed political struggle, rooted in British culture, is replaced by a simile of political protection: the new citizen who emerges will rest against this piece of solid, typically Brazilian wood, just like someone from the backlands leans against the trunk of a tree—mimosa, rose pepper, rosewood, or sucupira—to hoist himself up. In the silence while I get the hearing room ready, I am always impressed with the artistry of the furniture-maker who managed to discover, hidden in the same log of rosewood, shapes that are so distinct from each other. That too is what I do in this place, using the same space to reveal two different purposes. I admit that, before this job, I had never reflected on my own nationality; I never sensed what it meant until after this experience as a bureaucrat in a court clerk’s office, given the task of arranging a hearing room in the confines of Brazil. A while back, when I was a sophomore at the Federal University of Paraná, I took a course in political philosophy. In the first class, Prof. Ramos quoted a passage from Aristotle that has stayed with me ever since: “To be outside the polis one must be either a beast or a god.” The phrase itself had quite an impact on me. But I remember not agreeing completely with the assertion. The link between my being and the city or the country where I lived did not seem to be as unassailable as the philosopher thought it to be. I did not view myself as so firmly bound to my “polis,” but neither did I see myself as a beast or a god. What I was lacking, of course, was sufficient knowledge about myself and the world that surrounded me. That was why I was unable to fill in Aristotle’s assertion with meaning. This emptiness followed me through the years as I moved from place to place, until I ended up in the scrublands, in the court clerk’s office, in this hearing room with its massive slab of rosewood. On one Wednesday in 2014, between one contentious hearing and another, a naturalization hearing was held for a man named Ahmad, whose last name I do not recall. 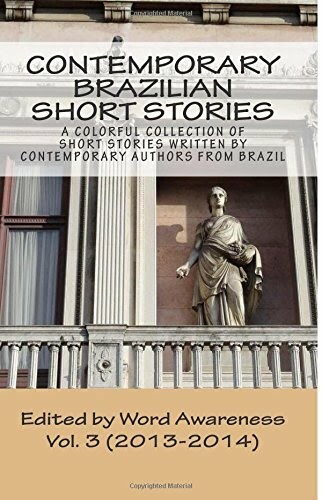 He was a Jordanian man in his sixties who had moved to Brazil forty years earlier. He had green eyes that were clear but not translucent; they looked like water from a turbid river. His face carried the innumerable wrinkles of age, looking as thick as the bark of a rose pepper tree. He had a low, unhurried voice. Ahmad sat down at the rosewood table and rested his hands upon it. His old watch hung loosely on his wrist, marking the time. While I finished arranging the room, he made a few remarks to me about the weather. Despite the slow rhythm of his words, I sensed a great deal of apprehension in this man from Jordan. His calm manner of speaking barely concealed the long wait that had been dwelling inside him. I asked him to wait a moment more, the judge would arrive shortly. The hearing was brief, as it usually is for naturalization procedures. Ahmad solemnly swore to the judge that he would fulfill his obligations as a Brazilian citizen and would not get involved in activities harmful to the country; he then renounced his Jordanian citizenship. The Jordanian’s voice had changed. It was as slow as before, but even among his sobs, it no longer bore the anguish of waiting. I must confess that I was moved by the scene. In his joy, Ahmad comprehended something of the weight of Aristotle’s words. He was able to perceive the intimate relationship linking the polis to the inner being of an individual, who cannot live outside it without losing something of his own humanity. The Jordanian leaned upon the table and stood up, echoing the typical regional gesture of someone from the backlands who braces himself against a tree to boost himself up. His tear-soaked hands left a mark momentarily on the rosewood table. The thick slab of wood had received the cries of a new Brazilian. Ahmad left the room and I stayed to watch his tears drying on the table. I learned more about political philosophy that afternoon than in all the books of the Greek philosopher I ever read.